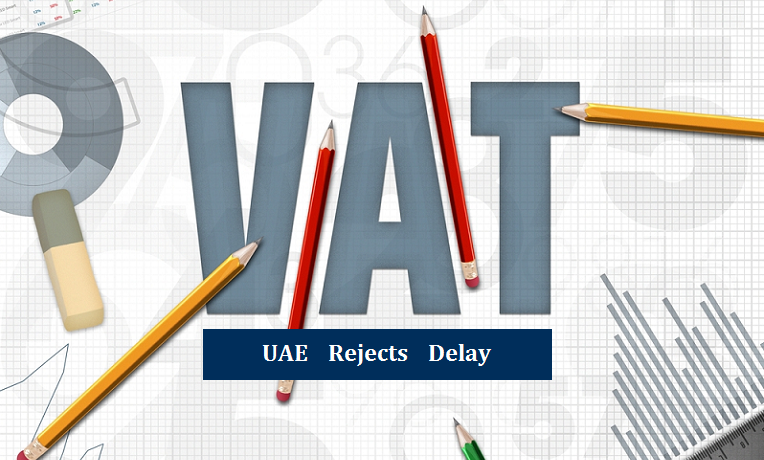 The government of UAE is determined for the implementation of value added tax (VAT) on due date (1st January 2018) and it is evident from the latest incident in which a plea from an influential businessman and head of a federation was rejected by the government. Just few days ago, chairman of the UAE Banks Federation, AbdulAziz Al Ghurair, asked for postponment of VAT in UAE because financial institutes in the country are not fully prepared for the said tax and they need more time to fully comply with their new duties. The demand was clearly showing that the banking sector is not fully prepared for the tax as there are several things that have to understand fully before implementation of the tax. Al Ghurair added that the banks and financial institutes need at least 6 months to fully understand the details of each sector only after which they will be able to ensure complete compliance with the duties of VAT. But the request could not achieve its purpose because the government of UAE has already shown its determination on implementation of VAT without any delay. In reply to this demand, DG of the Federal Tax Authority (FTA), Khaled Al Bustani, said that implementation of VAT will not be delayed at all and there is no discussion underway regarding delaying of VAT. The tax will be enforced from 7 am on 1st January 2018. Al Bustani praised the cooperation of business sector as they are taking their obligation of taxpaying very seriously. He added that the rate of registration for VAT has increased as the date of implementation of the tax is approaching. The registration can be done through the website of FTA that is open for the interested persons at every time. Registration is mandatory before the start of the tax. A business with income of AED 375,000 or more in UAE in the past 12 months is required to register for GST. Apart from that, voluntary registration is also opened for businesses with annual income of less than AED 375,000 but more than AED 187,000. This news has clearly revealed that VAT is going to be implemented from 1st January 2018 and the government is serious on a very important matter of its economy in order to achieve its aim to reduce its reliance on hydrocarbon sector. VAT is now matter of concern for many citizens, residents and entrepreneurs in UAE as they are not fully aware about the impact of VAT. If you are willing to know the information about sectors that will be affected by VAT from 1st of January 2018, then you can contact Riz & Mona Consultancy for this purpose. Our experienced PROs can easily satisfy you by giving complete and reliable information regarding the upcoming tax in UAE. We can have a discussion about this burning issue via WhatsApp # 971-56-9971225.